Swiss watchmaker Tissot offers the latest in masculine style with this stainless steel bracelet watch. Featuring a modern oversized chronograph dial in bold black with white accents. An ideal timepiece for the man with distinct style. 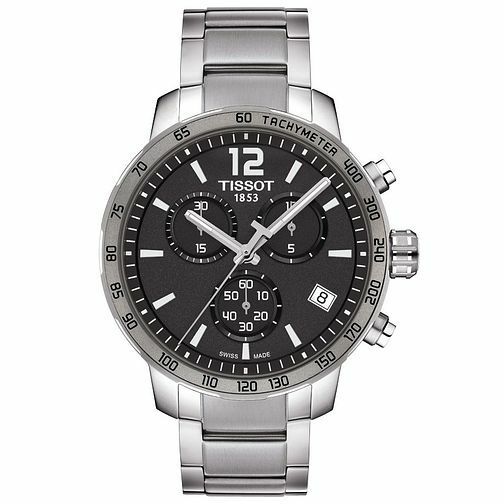 Tissot Men's Stainless Steel Black Bracelet Watch is rated 5.0 out of 5 by 1.